Before you start calculating HST rebate on your new home, it is important to understand that the Provincial component of the HST rebate is fixed at 6% to a maximum of $24,000, the federal portion of the HST rebate is on a sliding scale, reducing to zero once the builder’s base price or “consideration” exceeds $450,000. Your home is destroyed in a fire and is consequently rebuilt. Using the Builder’s List Prices as a starting point, and particular CRA formula’s for each of the four value bands (being <$368,200, $368,200 to $424,850, $424,850 to $484,500, and >$484,500) it is possible to calculate how much HST is already included in the purchase price and what the federal and provincial HST rebate components will be. the builder and the buyer have agreed to a stated price net of the Ontario new housing rebate and, where applicable, the GST/HST new housing rebate in respect of the federal part of the HST. To calculate the additional HST payable upon close for an investment property, refer to the formulas and examples below. New home buyers can apply for a 36% rebate of the federal portion of HST applicable to the purchase price to a maximum of $6,300 for homes costing $350,000 or less. New homes priced between $350,000 and $450,000, the rebate on the federal share of the HST rebate would be decreased proportionally. New homes priced $450,000 or higher would not receive a rebate of the federal portion of the HST. New home buyers can apply for a 75% rebate of the provincial portion of the HST applicable to the buying price to a maximum of $24,000. Once the Builder’s base price is determined the tax payable and the new housing rebates may be calculated. For an investor, on closing they would be required to remit the $24,096.96 in additional HST and then apply for the rebate of that HST amount, a process which typically takes about 6 to 8 weeks and requires that the property be leased to a tenant for a minimum of one year. Once the consideration is determined the tax payable and the new housing rebates may be calculated. Note: there is no rebate of the Federal proportion of the HST for houses, priced above $484,500. The article “How To Calculate HST On New Homes In Ontario” is not a legal advice. 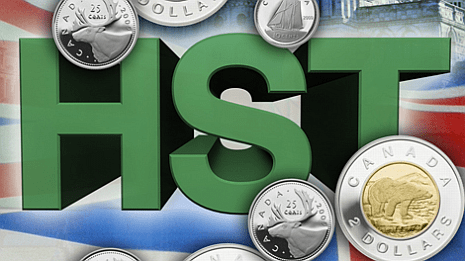 Great explanation on how to calculate the HST and rebate. This article is from 2013 however. Are the calculations still accurate and relevant for today?